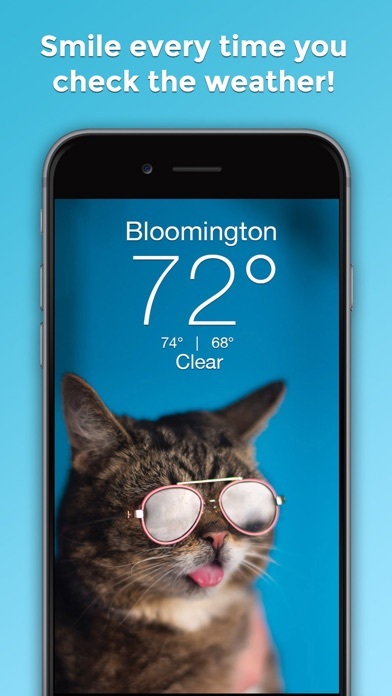 Congratulations, you've found the Official Lil BUB Weather App! Smile every time you check the weather as BUB brings you the forecast in her own, magical way. 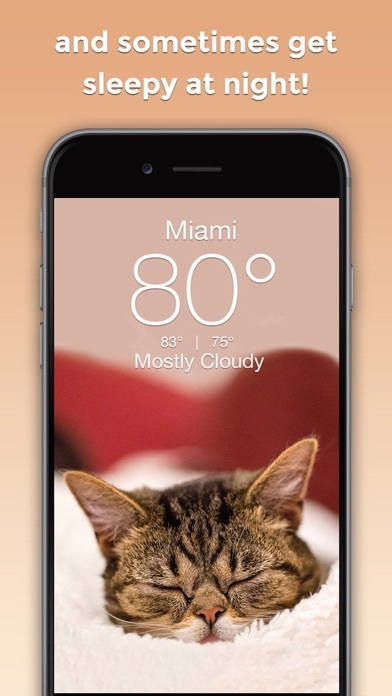 Features - Weather forecasts from around the world - 7 day weather forecast - Hourly weather - Today's high and low, feels like, humidity, wind, sunrise/set and more - GPS - Animated Radar - Share your fur-cast with friends on Facebook, Instagram & Twitter The weather has never been better! GOOD JOB BUB! Love seeing all the different BUBs. 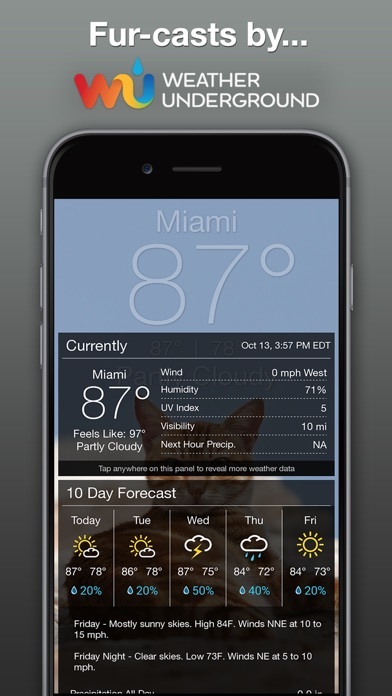 This app seriously works better than my Weather Channel app! I love this app!! It is very cute and helpful because if I go different places it keeps up with me and changes. First off, Lil Bub is so adorable!! There’s several pictures of her and you get a new one every day with a weather forecast. If you love cats, you should get this app! 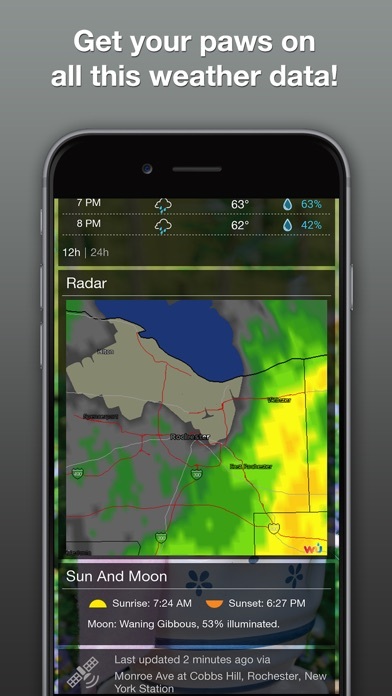 I use this app daily to check my local weather to see what I can expect in the coming hours or days. Very accurate and helpful. 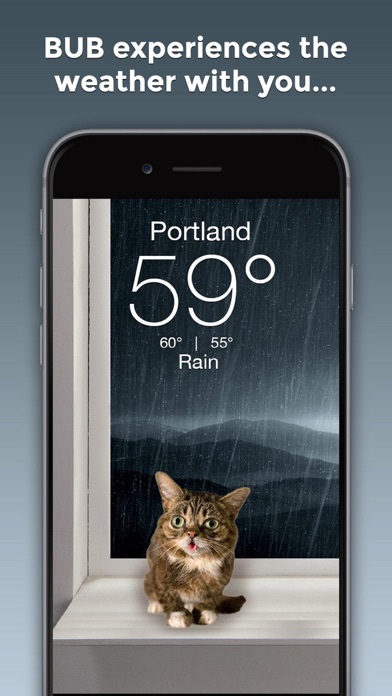 Obviously this app is adorable, but also the weather information is really detailed. It has a radar map, wind and precipitation, 12 and 24 hour forecasts, etc. I haven't had any glitches with it either. I love it! Thanks for the app. It is awesome! ...is the best! She’s the reason I get up in the morning (well, her and my job). She makes checking the weather that much more fun! She can turn my frown upside down, even on the rainiest of days. Love you, Bub!